I have been interested in gardening from a very early age. My first experience was cutting grass for my parents for pocket money and then moving on to cutting the grass of other houses on the estate in Swansea. After leaving school I went straight into the family garden services business working for my late father and my uncles. This gave me invaluable knowledge and the grounding I needed to set up my own business gardening in Swansea. I placed a advert in the Evening Post under the headline “BRING BACK A SMILE TO THE GARDEN” and the rest as they say is history. My friendly reputation has helped my business to continue to thrive to the present day. With more than 20 years experience of Garden Maintenance and Development in the Swansea area, we are able to offer a truly professional, personalised gardening service tailored to the precise needs of all our corporate and domestic clients. Our skilled team are fully trained, licensed, and insured to carry out a wide range of tasks at your home or commercial premises such as Hotel’s, Factories and Offices. We can tame the most out of control garden, large or small, and produce a manageable environment for your relaxation and enjoyment. Whether you require a complex ornamental garden, or a simple functional space, we are able to offer advice on the best ways to proceed, and then put these ideas into action. Regular maintenance over time is the basis of any fine garden. 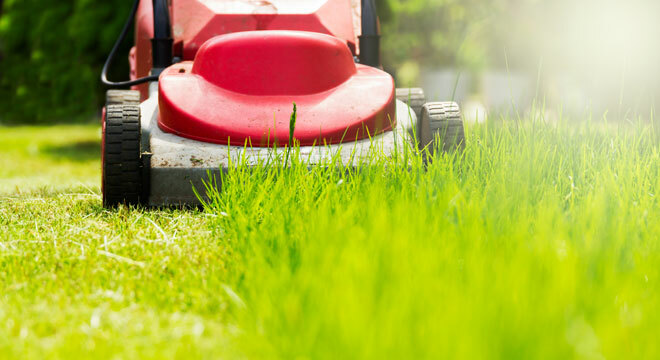 Lawn mowing, re-seeding, and weed control are essential for a beautiful lawn. Our “ride-on” mower provides the perfect solution for large areas of grass cutting. We undertake all manner of pruning, and the cutting back of shrubs and trees, and offer comprehensive tree surgery, along with hedge trimming and shaping. We offer a weed spraying/weed control service for all hard services like drives, patios, kerb edgings etc. We can also implement spot spraying for difficult perennial weeds in flower beds. Whether you wish to create an entirely new garden, or develop an already existing feature, our landscaping service can meet all your needs. Using experienced, fully insured tradespersons for bricklaying, paving, and carpentry, in conjunction with the best tools for the job, we have earned a reputation for producing first class results with all our Garden Services and are widely known around the Swansea area. Why not get in touch with us and arrange to see some examples of our work? We are licensed waste carriers, and so always leave your garden beautiful and tidy. Our prices are extremely competitive, and our garden services are designed to leave you with the perfect garden, functional yet aesthetically pleasing. Please do not hesitate to contact us for more information, or to view references from satisfied clients. Both Domestic and Commercial Gardening Services offered.